For all of the DECK trouser lovers out there! DECK have recently launched their infamous DECK by Decollage 62101 trousers in an all NEW fabric. With the same amazing shape that we all love but in a fabulous new super stretch, super comfortable fabric. A lot of our customers are huge fans of the original DECK 62101 trousers due to the stylish, slimming design and ultra light-weight fabric which are great for any season. 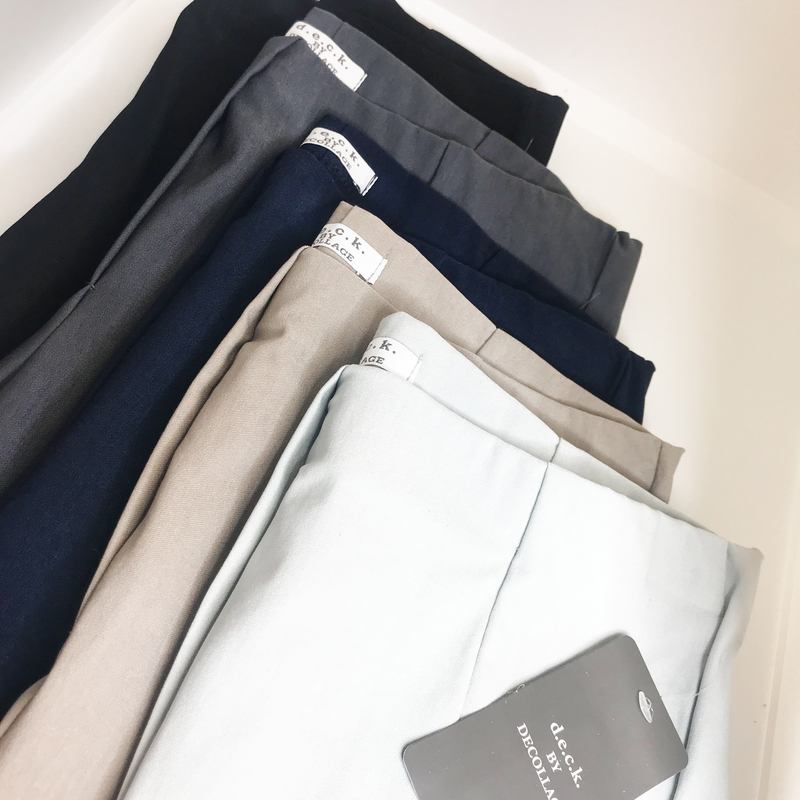 The new 72101 trousers still retain all those much loved features but are made from a new and improved stretch fabric making them even more comfortable. For those of you who wore the DECK trousers in their original fabric don’t be put off by this fabric change…with the same slim leg and pull up design the only difference you will notice with the 72101 trousers is the added comfort of the stretch fabric that moves effortlessly with your curves. What’s not to love? DECK trousers are extremely flattering and constructed with a slimming panel design, vent detail and no zips or fastening. Available in an array of core and seasonal colours, all available at Lucy Cobb. DECK trousers can be bought both full length and capri. In sizes 8 to 20 the DECK by Decollage trousers are an essential piece of clothing in your collection. Each season DECK by Decollage launch a collection of tonal knitwear, coats and tops to compliment their amazing stretch trousers. At Lucy Cobb we stock a selection of DECK’s latest designs as well as their classic core collection.